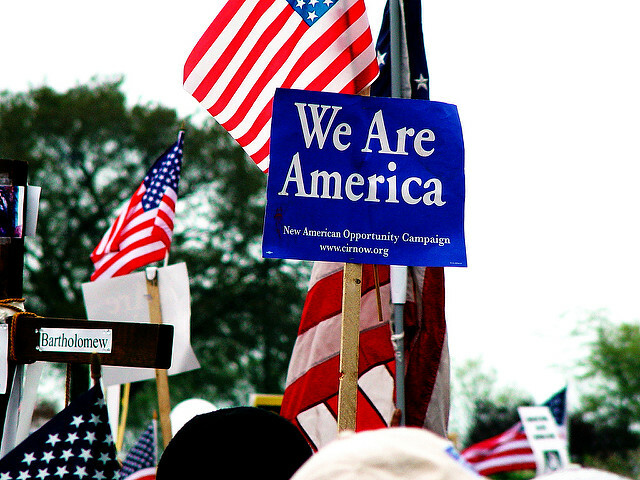 The current political and public dialog have centered around undocumented immigrants. But every year, far more legally-admitted immigrants come here than those who enter without legal status (immigration reform, let's get a move on here!). Irish-born author of many essays and four published books. Works in healthcare and teaches in the nonfiction MFA program at Baypath University. The current political and public dialog--and I'm being generous by calling it that--have centered around undocumented immigrants. But every year, far more legally-admitted immigrants come here than those who enter without legal status (immigration reform, let's get a move on here!). Immigrants now comprise approximately 14% of the U.S. workforce, though the representation varies across industries and geographic regions. Also, immigrants are just as likely (as native born folks) to own their own businesses--thereby creating U.S. jobs for U.S. workers. Among this legal group, 16% are sponsored by U.S. employers to fill in positions for which no U.S. worker is available, and an additional 8% come as refugees or asylees, fleeing persecution and looking for safety and freedom in the U.S. The remainder come for family reasons. They contribute their talents, labor, languages, cultures and outsider insight. Many immigrants risk their lives and dignity and families to come here. They also contribute cold, hard cash. Yep! Contrary to the fact-mangling vitriol I've had to endure at dinner and cocktail parties, undocumented immigrants do, in fact, pay taxes--a whopping 11.64 billion in state and local taxes according to one study. Cumulatively, undocumented immigrant workers pay an estimated 11.2 billion into the U.S. Social Security fund, and an additional 2.6 billion into Medicare--money and benefits that the immigrant workers themselves will never be able to reclaim as benefits. Op-Ed piece, "Don't Shut the Golden Door" in the New York Times. Photo from Creative Commons. CC license here.